What's in a Beauty Editor's Bag? Touch-up powder, spare cotton swabs, and a minimum of eight lipsticks at all times — these are just a few of the things you'll find systematically tucked away in a beauty editor's bag. I can personally confirm this is true. Whether I'm slinging my favorite oversize carryall over my shoulder, opting for my tiny crossbody logo bag, or even sporting a canvas tote (a favorite among New Yorkers), there are just some essentials I won't leave the house without. But beyond the obvious and a handful of secret, soon-to-be-released launches, there are some things you may not expect . . . or even know about at all! Because part of a beauty editor's job description is to make your lives easier by sharing knowledge and best-kept secrets, I have a few of my own to let you in on. Keep reading to see three genius, life-changing beauty discoveries I've made — and fit in all of my bags! Best of all, one is included in this Summer's Must Have box, so you're already one step ahead of the game. Ever had one of those "oh, sh*t" moments when you're out and about and suddenly realize you missed a spot shaving . . . or forgot to do so completely? Yeah, I have a lot of those. So many, in fact, that I've considered carrying a disposable razor in each one of my bags. Not only is that not cute, but it's also potentially dangerous and a waste of valuable space. Luckily, I discovered Sphynx, a brand that makes portable razors in brightly colored containers the size of a makeup compact, in this Summer's POPSUGAR Must Have box! That's not all, though; these fun-size babies are actually a three-in-one product that includes a refillable spray bottle to dampen skin, a shea butter bar for preshave moisture, and two blade heads! All you have to do is twist the center of the packaging to switch between each option. How's that for a shaving hack? Oil Blotters . . . For Your Hair! No, you didn't misread that; oil blotters for your hair are a thing — and they're the answer to a prayer I didn't even know I had. I'm currently carrying a pack from newly launched fitness-meets-personalcare brand RECESS, and they've been a true lifesaver when I'm running from morning workout classes to the office. 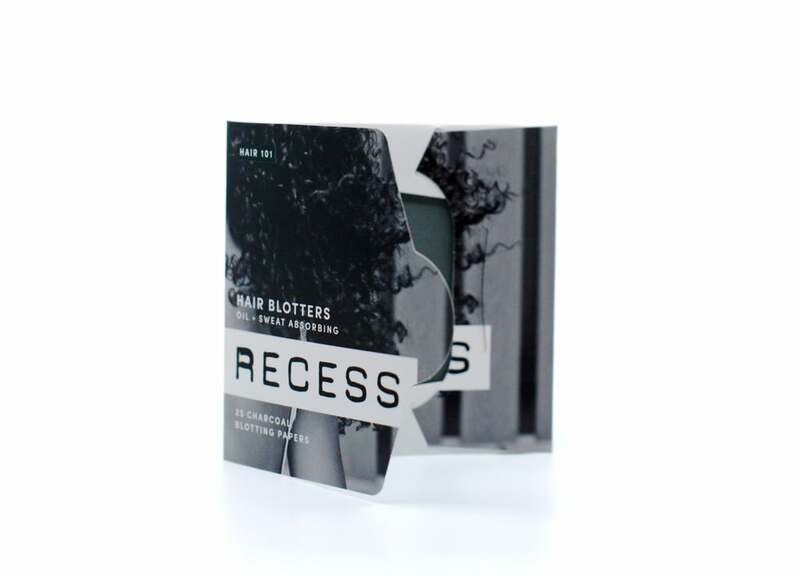 Similar to the oil blotters you'd use to eliminate shine from your face, these discreet little sheets come in a flat package that keeps them contained and easy to slip into a purse pocket. The main ingredient — and the reason for their rich, almost-black color — is charcoal, which any skincare junkie knows is a key ingredient for detoxing and drawing out oil. These do the same for your mane! As someone who washes her hair twice a week max, these are a more compact alternative to dry shampoo. Much like my vice for extracting blemishes from my face, I simply cannot rest if anything is broken, snagged, or otherwise out of place on or around my nails. (And to dermatologists and manicurists everywhere, please accept this as my formal apology.) While carrying a nail file in your bag is certainly not a revolutionary idea, you may not have considered buying a small manicure kit stocked with other tiny essentials. 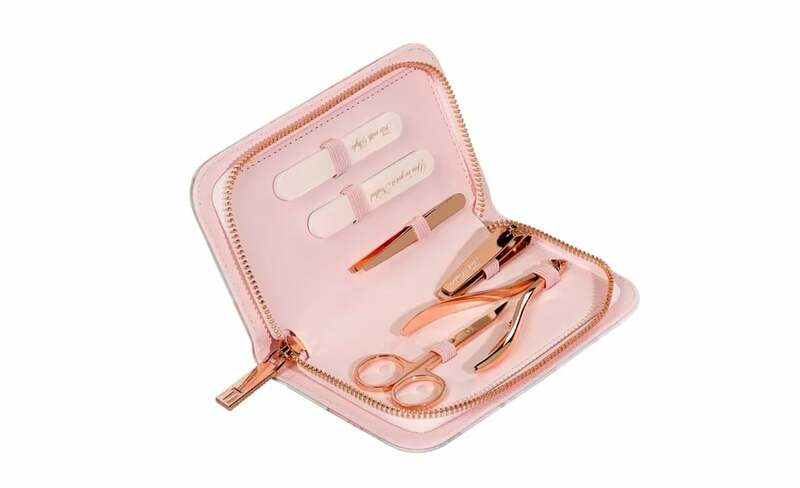 From scissors to tweezers to nail clippers, these kits ensure you're fully equipped to handle any nail-mergency — all without requiring extra space in your bag. What's more, the baby tools are good for more than just your nails! I've used them to cut out itchy tags on new clothes, pluck a stray eyebrow hair, and even fix a tiny screw that came loose on my sunglasses. Having Summer box FOMO? Get ahead of the game by signing up for our next Must Have Box today!